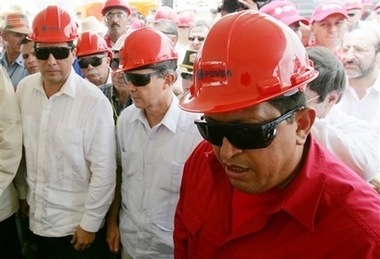 Actually, they're safety glasses. 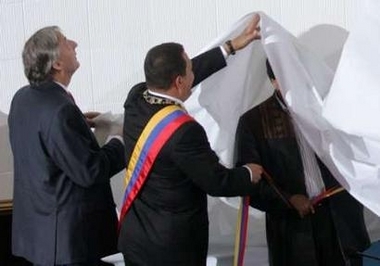 Chavecito's been a very busy boy lately, inaugurating a new Venezuela-Colombia gas pipeline. Here he is watching the first weld going down. 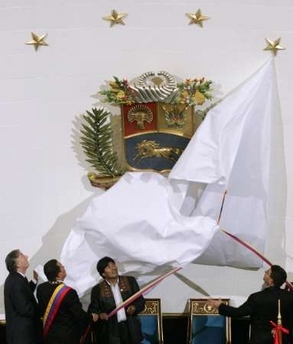 Evo got caught under the cloth while unveiling the new Venezuelan coat of arms...with a little help from his friends.